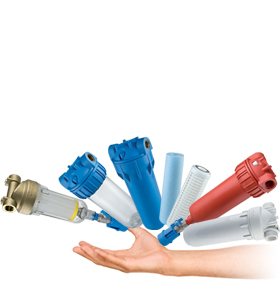 Water filter cartridges with bacteriostatic technology. Designed to work in combination with Sanic filter housings. The antimicrobial filter cartridges FA SANIC SX (DOE) are made of polypropylene wound string with silver based bacteriostatic agent. The antimicrobial filter cartridges FA BIG SANIC SX (DOE) are suitable for housings DP BIG SANIC.